Fashion and Music go together like Lohan and Crazy! I love sitting at the shows during Mercedes-Benz Fashion Week and feeling the bass from the speakers under the stands as the music sets the tone for the amazing shows. Recently two of my favorite people met in Russia. 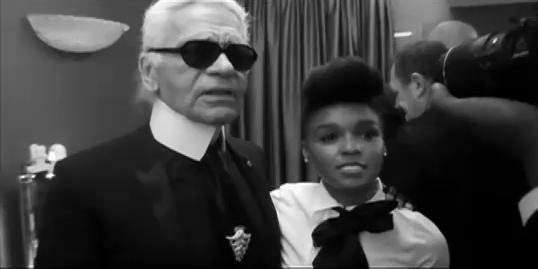 The legendary Karl Lagerfeld and the talented Janelle Monae. I first discovered Janelle at the Levi's Fader Fort during SXSW 2009. I was with friends on the other end of the fort when I heard this magically dreamy voice coming from across the way. I raced over to see who it was and there was Janelle in all her glory. It was love at first listen! 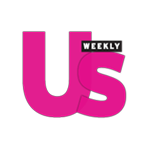 Check out the video of when the designer and singer met. Karl and Janelle talk about their love for wearing black and white. "I'm a black and white person," states Lagerfeld. I LOVE how Karl talks about enjoying music by not sitting down at a concert. He talks about how you have to be standing to really get into it (I was once asked by some awful hoochies to sit down at a BRITNEY concert, I said no of course)! Seems like Karl and I would get along great!